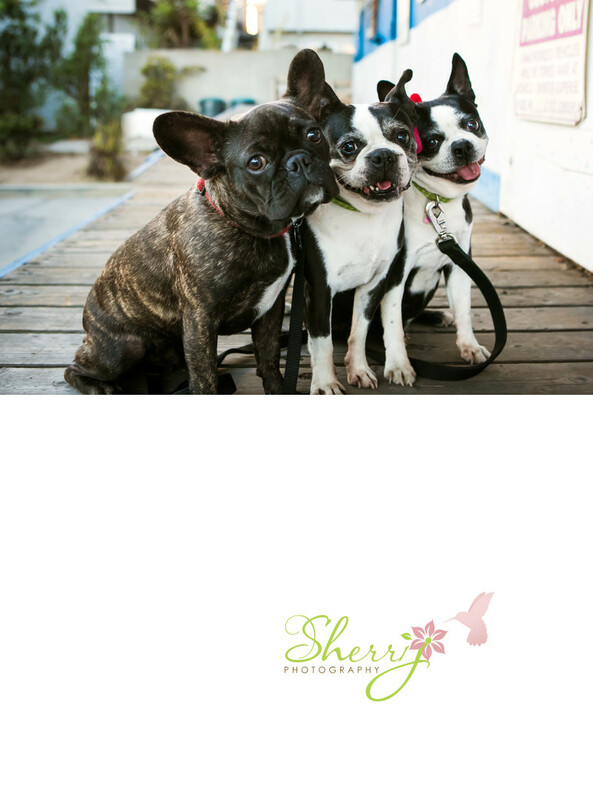 Rene of Huntington Beach's spa Beach Beauty Bar has her 3 adorable pups photographed. Pictured is brindle Frenchie Stitch and two black and white Boston Terriers Buttercup and Blossom. This image was printed as a fine art canvas and displayed in the treatroom room overlooking the ocean. Location: 1120 Pacific Coast Hwy d, Huntington Beach, CA 92648.